Moxie is a fawn colored pit mix with fawn colored eyes. I have an older brother, Kurtz, who I love to wrestle, play tug, and snuggle with him in his crate. My mom saw my picture on the facebook page for Chicago Animal Care and Control (CACC) adoptable page and came down with the whole family to see how we all go along which, of course we all did! 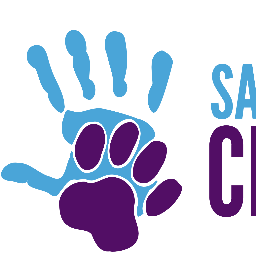 I am very excited to be a new ambassador dog for Safe Humane Chicago! I can't wait for my first trip to school. In the meantime I will keep greeting everyone when I go out on my walks. I love to snuggle and give kisses. Mom says it's like having your own personal furnace on your lap. I am really good at "wait" especially when a treat is put on my paw and I love doing "high-five." Any toy that my big brother has or any ball that is being thrown. Kongs that are stuffed with wet dog food and then frozen. Sleep in my crate so I can reserve my energy to play when everyone comes home. I was really scared when I was living on the streets as a stray and I am very lucky to have found such a loving home. I want to teach people the proper way to take care of their dogs and to promote adoption.